To some, corruption may appear a victimless crime. But for a vast number of people, especially in the developing world, corruption manifests itself as poverty, disease, injustice, inequality, oppressive rule, instability and, too often, war. Corruption is still at the heart of many of the world’s most pressing problems. Despite the scale of the problem, the global anti-corruption movement didn’t begin in earnest until 1993 with the establishment of two new NGOs: Transparency International (TI) and my own organisation, Global Witness. Since then, we have come to better understand the impacts of corruption, governments and international organizations are increasingly taking action to combat it, and more organisations are working on the issue. Yet corruption is still at the heart of many of the world’s most pressing problems. In the broadest sense, corruption undermines countries’ legal obligations to promote and protect human rights. The myopia of Saudi Arabia’s chief allies when it comes to the country’s appalling record of human rights abuse is a prime example. Former United Kingdom (UK) Prime Minister Tony Blair famously called off a police investigation into corruption surrounding the Al-Yamamah arms deal and today, the British continue to sell arms to Saudi Arabia in spite of the latter’s widely criticised bombing campaign in Yemen, which has resulted in thousands of civilian deaths. New evidence now points to the use of UK-manufactured cluster bombs in these attacks, despite the fact that this type of weapon is banned under international law. Corruption also appears in the disproportionate influence companies exert over governments and officials, which can shift decisions away from the best interests of the electorate. For example, perfectly legal campaign contributions or lobbying help them gain this power. But the amount of money that some companies—often the most toxic industries—invest in lobbying against legislation calls into question who is really making the decisions. There are myriad examples of such interference. One is the legal assault by the American Petroleum Institute against the mandatory transparency provisions in Section 1504 of the US Dodd Frank Act, which requires that oil and mining companies listed with the United States (US) regulatory body, the Securities Exchange Commission (SEC), declare the amount they pay to governments on a project-by-project basis. Another is the time two of my colleagues, advocating on behalf of the European Union (EU) Accounting Directive in Brussels—the EU equivalent of Section 1504 mentioned above—were told by a Member of the European Parliament: "Thank God you guys are here! Shell was here yesterday with about 140 lobbyists.” In addition, a recently leaked 2013 letter showed that British Petroleum had threatened that fossil fuel companies would leave the EU if laws were passed to boost renewable energy, cut pollution and regulate the tar sands. In the end, the EU caved to their demands. Meanwhile, many politicians and civil servants know that post-retirement posterity could well depend on jobs with the same companies they helped out whilst in office—the revolving door. The result is that voters are increasingly getting what the companies want, rather than what they voted for. Political and economic decisions are made that make no economic sense and increasingly—in the era of the climate crisis—no ecological sense either. For example, why are taxpayers funding $5.3 trillion in subsidies for the hugely rich fossil fuel industry every year, at a time when it’s estimated that around 84% of known fossil fuel reserves—oil, gas and coal—must stay underground if we are to avoid catastrophic climate change? At the same time, these same players continue to pump millions of dollars into climate change denial, twisting or suppressing science, much like the tobacco industry before them. This too is corruption. In developing countries rich with natural resources, companies and local elites often benefit while the rest of the population loses, a phenomenon widely known as the “resource curse”. Some estimates suggest that well over $400 billion of Nigeria’s oil wealth has been looted by companies and the corrupt ruling class in the 60 years since oil was discovered in Nigeria. 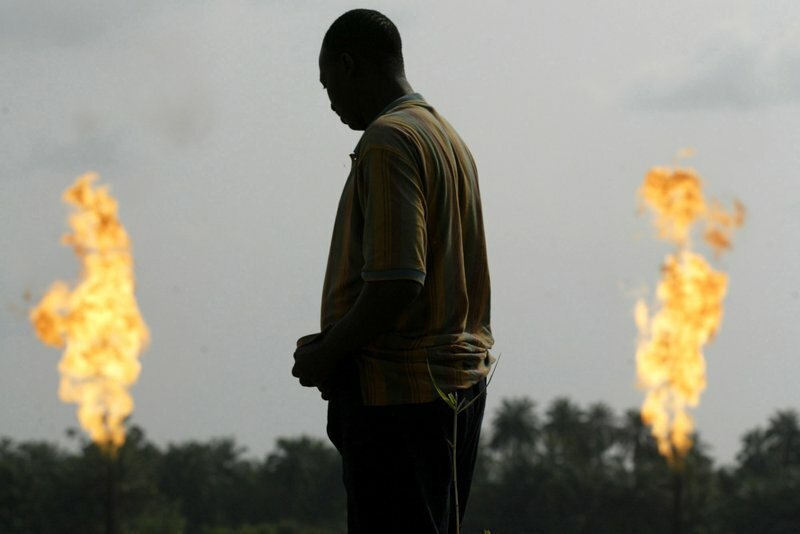 In just one example that Global Witness and the Italian authorities have been investigating, Shell and Italian oil giant, ENI, paid $1.1 billion to obtain OPL245—probably Nigeria’s largest offshore oil block—in a corrupt deal. Shell and ENI paid the money into a Nigerian government escrow account knowing the money would be paid to a company called Malibu Oil & Gas. This company turned out to be owned by Dan Etete, a former oil minister during the Abacha regime, who had awarded the block to himself. Similarly, corruption allows for the land grabbing that often accompanies natural resource extraction, agri-business and logging. When people are forced from their land, their way of life and the environment they depend on for food, fuel and medicine is cleared, polluted and lost to them—and us—forever. This is inevitably followed by the failure of the judiciary to protect their rights, and too often what should be their last line of defence—law enforcement—is the very body that cracks down on them the hardest. With no other choice but to protest, the people are the victims in a frontline struggle that most people don’t even know exists. Last year we documented that at least two people a week are being murdered defending their land from unwanted development. We need to build on this awareness and anger, and go beyond acknowledgement of the critical risks corruption brings to our society—real solutions are needed now. Our leaders just need the courage to confront the vested interests that stand in the way of achieving those solutions.